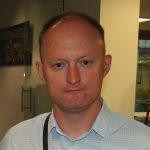 Why Ukrainians should calmly treat the "pause" of the Georgian Orthodox Church in recognizing the CPC. Having lost the "battle for Tomos" and breaking ties with Constantinople, Moscow switched to preventing the recognition of the Orthodox Church of Ukraine (CPC) by other Orthodox churches. One of the key in this struggle is the Georgian church front. Many in Ukraine, for some reason, believe that politically-allied Georgia, in the person of the Georgian Orthodox Church (HCC), would be one of the first - almost automatically - to recognize the CPC. At different levels, you have heard calls in the style of "you must ..." and "how is it so ...". Rezonations of the Synod of the HCP "take a pause" in the Ukrainian church issue as a result of the specific situation in which the Georgian church was exposed through the occupation of Russia by Abkhazia and the region of Tskhinvali, were repeatedly painted. I propose to stop once again on the basic of them in the context of the latest manifestations of the frank pressure from Russia on the Georgian church environment and society. 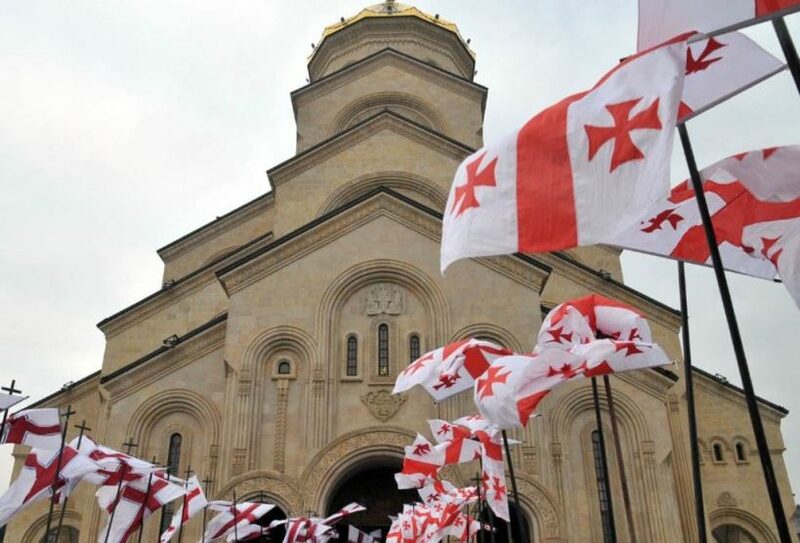 After the August war of 2008 and the occupation by Russia of the Georgian territories of Abkhazia and Samachablo (Tskhinvali region), the Russian Orthodox Church (ROC) is still in no hurry to recognize their "church independence" or to take them under their wing. Abkhazia and the Tskhinvali region, according to the church plan, remain canonical territories of the Georgian church. For this, the Russian Orthodox Church has created a "hook" for Georgia for further blackmail, which is currently activated in the light of the creation of a PCU and receiving autocephaly from Constantinople. The conviction and preference of the clergy of the occupied Georgian territories is a minor issue. (In Abkhazia, for example, there are monastics of the Novoaphone Monastery, which consistently advocate the transition of the Orthodox parishes of Abkhazia to jurisdiction ... that's exactly the case, Constantinople). It is worth recalling that all processes in the occupied territories - from the economic to the church - are under the control of Moscow. Recognized by the ecclesiastical canons of the subordination of the occupied territories is a very sensitive issue for the Georgians, the Georgian Church and, personally, its Catholicos-Patriarch Illi II. We note only that until the election in the distant 1977 year, Catholicos Patriarch Elias II was ten years old bishop and metropolitan in Sukhumi. And he still can not return or at least visit his own residence-residence in the capital of Abkhazia, occupied by "someone", like most of the houses of Georgian refugees in the occupied territories. Elijah II enjoys an unprecedented comprehensive reputation among the Georgian population. Any other patriarch or, God forbid, the government in any country can only dream of such a level of trust. Any more influential political force in Georgia, which is counting on something in politics, is doomed to reckon with the Church and tries to flirt with it in any way, or at least not to annoy it. This is not least possible to explain the fact that the President of Georgia, Salome Zurabishvili, eliminated the banal ceremonial function of congratulating a Ukrainian colleague with the creation of a PCU. The parliamentary elections of 2020 are not far off, and the team of S. Zurabishvili (read the political core of the "Georgian Dream" party, Bidzin Ivanishvili), must well remember as careless about the Church statement may hit the ratings. "Offended with reverence and obstinacy ..."
Recently, the delegation of the Ecumenical Patriarchate headed by the Metropolitan of France, Emmanuel, visited Georgia in January. The purpose of the visit and negotiations with the Synod of the GPC was "the Ukrainian issue". The visit was preceded by a rather powerful informational "art preparation" from the side, including the local assistant of the Kremlin. In particular, the main Georgian political apologists for rapprochement with Russia, Nino Burjanadze (Democratic Movement Party) and the Alliance of Patriot Party leaders, were expected to ignore the tricky appeals to refuse to recognize the CPSU at the address of Ilya II and the Synod. In unison with them, from Kiev received a message to the "brotherly Georgian church" from the schearihimandrit UOC MP Yiw (Gryshchenko). To analyze in detail the content of these epistolary speculations does not make sense, but we will single out that all of them contained, as a stacker, the same "temnik": in the event of recognition of the CPC, the Georgian Church will lose the canonical territories of Abkhazia and Tskhinvali. It looked like direct blackmail and pressure. In the message of Job (Gryshchenko) even managed to sway the Bolsheviks and the above-mentioned New-Afon "scholars", oriented to Constantinople. And one of the contributions of the "Alliance of Patriots" is to quote literally: "Despite the fact that we are very offended by the policies of the Russian state and the Church in Sukhumi and Tskhinvali, we offer you with reverence and obedience to respond to Russia's opposite actions in Ukraine: to respond to the canonical, just and truly Orthodox position, namely, to unequivocally negatively assess the actions of the Ecumenical Patriarch in Ukraine ». It is clear that in the Russian Orthodox Church now concretely soars, and the threat of recognition of the CPU for them is existential. Meanwhile, Metropolitan Ilarion / Alfeyev, head of the Department of External Church Relations of the Moscow Patriarchate (which, by the way, failed to fail the process of breaking the Ukrainian Church of Tomas, and is currently curbing the process of non-recognition of the CPU), in one interview "does not imagine that Georgian the church recognized the CPC ", sending this and other speculative signals towards Tbilisi. The Synod of the GPC perceives it as a kind of brutal pressure. The head of the delegation of Constantinople, based on the results of his visit to Tbilisi, expresses the conviction that the Patriarch of Georgia will be able to make a wise decision on the "Ukrainian question". An epic with the receipt of Tomos teaches us that it is possible to trust Constantinople. Metropolitan of the UOC MP Onufry with the deputy Novinsky traveled to Moscow for decades of the enthronement of Cyril / Gundiaev, while the Ambassador of Georgia to Ukraine, Helah Dumbadze, visits the St. Sophia Cathedral in Kyiv on the occasion of the enthronement of Metropolitan Epiphany, head of the CPU. So, everything goes according to the plan. In the Synod of the HCC, of ​​course, there are ongoing discussions on the Ukrainian issue. Yes, there they wait, restraining pressure from Moscow. Waiting for the reaction of other local Orthodox churches. The decision of the Greek (Ellada) Orthodox Church, which recently launched the procedure for recognizing the only local Autocephalous Orthodox Church of Ukraine, may become a reference point. Kiev is naturally interested in recognizing the CPC, but calls, pressures or hysterics will be superfluous here. The departure of the GPC in a split with Constantinople in favor of Russia is excluded. In the end, we have the interests of the Ukrainian Church and the State that we must follow, but which may not coincide (as it happens) with the situational positions of the authorities or the Church of the nearest ally. As Valery Lobanovsky once spoke, we simply need "... to understand their misunderstanding". 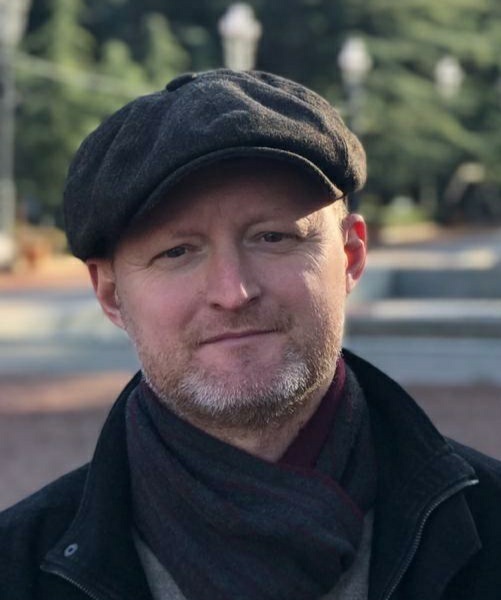 The historic process of recognition of the PCU has been launched, and today's tumultuous pressure from Moscow on the Georgian church front will only speed it up. Questions to the future president of Ukraine: How to overcome corruption in the security and defense sector? V. Budrak: "On hybrid RF operations against Ukrainian military-industrial complex"
Rauf Radjabov (Azerbaijan): "Karabakh in the context of recent turbulences around the region of the South Caucasus"